KEVIN T VU | Moving forward from the MA Documentary Photography program at the LONDON COLLEGE OF COMMUNICATION. i went for a motorcycle ride up the pacific coast highway last weekend for the memorial day holiday. i went to santa cruz to spend some quality time w/ jess, hank and rebecca. i consider them family really. 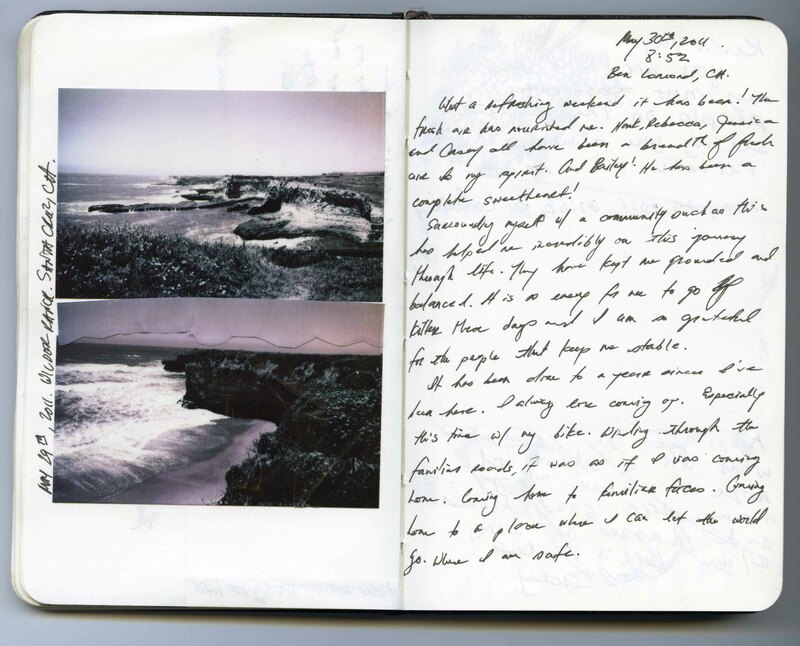 these journal pages are a travelogue of the trip. dinner w/ the ruckers. encinitas, san diego. i’m been very fortunate in my life to be surrounded by such good company. and embry and co. can’t be beat! they have been incredibly generous and kind to me! in a world full of artificiality and pretension, their sincerity, openness and authenticity have helped me to stay grounded .